Of the three methods, intravenous administration shows the most promise followed by inhalation. 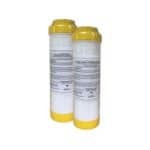 However, hydrogen water is considered to be the safest and most convenient method of administration. For that reason, some researchers suggest that it is the most important method to study. There is only a small number of studies on the effects of drinking hydrogen rich water in humans. Consequently, the most important thing to understand about hydrogen water is that the research on it is preliminary. The reported benefits need to be confirmed with more research. The antioxidant health benefits claimed for hydrogen water are the same as those claimed for ionized alkaline water. Consequently, those similarities are caused by the fact that hydrogen water often times is also ionized alkaline water! 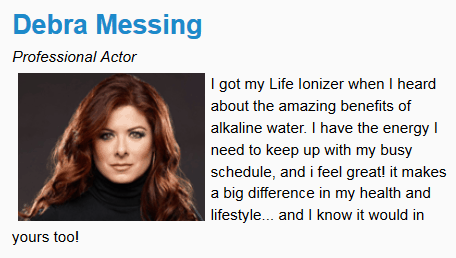 Water ionizers that make ionized alkaline water also produce a small amount of molecular hydrogen. Key Takeaway: Water ionizers give you the benefits of both molecular hydrogen and alkaline water! Powerful ionizers like the Life Ionizers MXL-15 can produce significant amounts of hydrogen at the same time they are making alkaline water. So you get both: Antioxidant alkaline water and hydrogen rich water in the same glass! 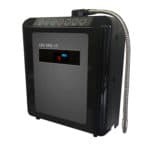 Life Ionizers guarantees: You will get more molecular hydrogen in your glass from a Life Ionizer than you will from any other brand of water ionizer! Hydrogen rich alkaline ionized water has been used in some of the health studies on molecular hydrogen. That’s actually a conundrum: Did the health benefits observed in those studies come from the molecular hydrogen, the ionized alkaline water, or both? One study compared the antioxidant effects of molecular hydrogen bubbled into water to the antioxidant effects of ionized alkaline water. The study found that they both act as antioxidants, but ionized alkaline water is the better antioxidant. Research has shown that your body begins to discharge hydrogen from your lungs 10 seconds after you drink hydrogen water. The antioxidant in alkaline water, the hydroxyl ion, remains in your body for far longer because it is not exhaled by the lungs. Because hydrogen is exhaled shortly after you drink hydrogen water, the best way to consume hydrogen water is to drink it constantly throughout the day. That way you’ll supply your body with a fresh supply of antioxidant power constantly during the day. 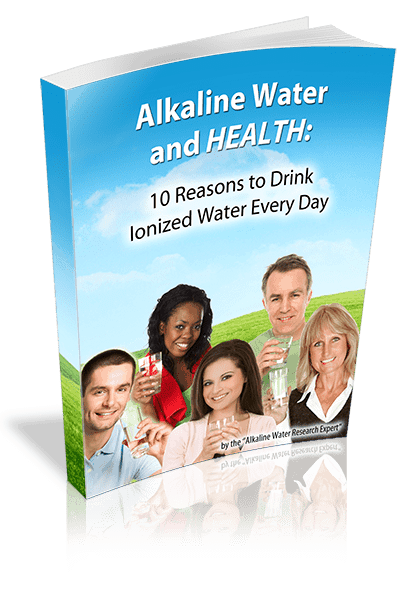 A water ionizer is the best way to do this. The machine makes you a fresh glass of antioxidant alkaline hydrogen water on demand, and the machine never runs out! Studies have shown that hydrogen has the ability to reduce oxidative damage caused by Reactive Oxygen Species. Ionized alkaline water has shown the exact same effect. Both hydrogen, and the hydroxyl ion (the active ingredient in ionized alkaline water) can cross the blood-brain barrier. Therefore they can both potentially deliver antioxidant benefits directly to the brain. Both alkaline water and hydrogen water have been shown to be effective antioxidants against the Reactive Oxygen Species that are a major factor in the development of Alzheimer’s and Dementia. The most recent studies have shown cognitive improvements in both Alzheimer’s patients and Dementia patients. A clinical trial on Parkinson’s patients showed that drinking hydrogen water reduced hydroxide radicals. But it didn’t reduce other radicals. Studies on the neuroprotective effects of ionized alkaline water show that it reduces all of the radicals hydrogen doesn’t. The study only examined antioxidant levels. The effect of the hydrogen water on the progression of the patient’s Parkinson’s symptoms was not evaluated. These findings support the theory that ionized alkaline water and hydrogen may be most effective when taken together. Magnesium hydroxide makes water alkaline as well as hydrogen rich. So the water used in this study had both the antioxidant hydroxyl ion and hydrogen in it. Metabolic syndrome is at epidemic levels in America. It’s an epidemic of heart disease that is killing millions. The consumption of the magnesium hydroxide and hydrogen rich water in the study resulted in a 39% increase in levels of the antioxidant enzyme Superoxide Dismutase. It also resulted in a 43% decrease in the harmful radical thiobarbituric acid. These two results are significant: They show that alkaline hydrogen water has the ability to significantly reduce the harmful oxidation that is a major factor in heart disease, kidney disease, and brain diseases. Interestingly, studies on alkaline water showed that it had the exact same effect on Superoxide Dismutase and thiobarbituric acid. Those results suggest strongly that the magnesium and the hydroxyl ions in the water were also involved in the improvements noted in the study. The study also noted a 13% decrease in bad cholesterol levels, and an 8% increase in good cholesterol levels. Those are also the exact same improvements in cholesterol have also been shown in studies on alkaline water. The studies discussed in this article are the only known studies on humans drinking hydrogen-rich water. There are animal studies on hydrogen, and laboratory studies on it. But those studies are always inconclusive: Humans don’t always react the way animals do, and lab studies don’t determine how something will react inside the human body. Because of this, it’s safe to say that our understanding of the effects of drinking water rich in hydrogen is at best preliminary. The good news is that research into molecular hydrogen is ongoing. Many researchers are now moving on to human clinical trails. If those studies show promise, molecular hydrogen may turn out to be the health miracle that millions of people need. In research, a confounding factor is a thing that complicates researcher’s efforts to study something. In hydrogen water studies the use of hydrogen sticks and water ionizers is a confounding factor. This is because both water ionizers and hydrogen sticks make alkaline water while they are making hydrogen water. Because of that, any study that uses hydrogen sticks or water ionizers to make hydrogen rich water isn’t definitive. You can’t be sure where the benefits observed in the study come from. The hydrogen, the hydroxyl ion, or magnesium from the stick? Probably, all three methods contributed something to the outcome. The confusion caused by using hydrogen sticks and water ionizers to make hydrogen rich water is easy to avoid. Simply get an alkaline hydrogen water machine. Then you get the benefits of both hydrogen and antioxidant alkaline water in the same glass! Health researchers who use water ionizers and hydrogen sticks to make hydrogen rich water get similar results. That fact should surprise nobody, but it’s never discussed in the hydrogen studies. So what should you do if you are wondering whether to drink alkaline water or hydrogen water? Your best bet is to get a machine that makes both waters. 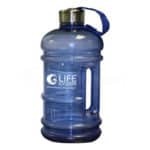 Life Ionizers decided to upgrade our machines so they make alkaline and hydrogen rich water. Life’s new Hydrogen XL technology makes the most molecular hydrogen and antioxidant potential that you can get in a glass of water. Consequently, this means that Life Ionizers gives you the benefits of both! model water containing molecular hydrogen and Pt nanoparticles.” BMC Proceedings. Europeans Society for Animal Cell Technology, 22 Nov 2011. Web. 29 Oct 2013. <http://www.biomedcentral.com/1753-6561/5/S8/P69>. PrevPreviousLife Ionizers: Alkaline Water AND Hydrogen Water – Combined!